GO! 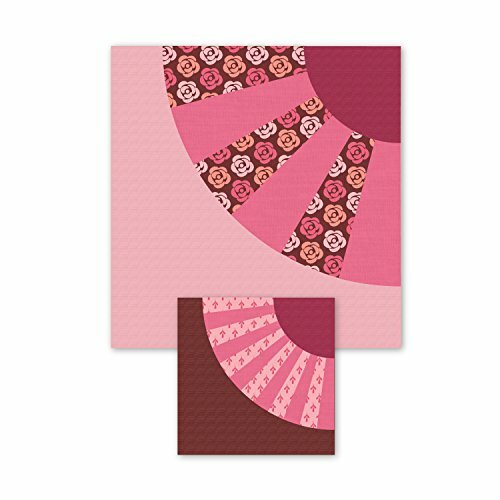 Fabric Cutting Dies by AccuQuilt: Circle 2-inch; 3-inch; 5-inch. Cuts one each 2-inch; 3-inch; and 5-inch. Circles are one of the hardest shapes to cut accurately. This die cuts three sizes of circles fast and perfectly every time. Use die to cut circles for popular yo-yo projects and raw edge bull's-eye concentric circle quilt designs. Circles can also be used for polka dots; flower centers; large buttons; large eyes and round fruit shapes. Cut up to 3 layers of cotton fabric on the lengthwise grain for most accurate cutting results. Use with the GO! Fabric Cutter and GO! Baby Fabric Cutter (both sold separately). Requires 6x12 inch mat (not included). Warranty: AccuQuilt GO! Dies are manufacturer guaranteed for one year. Die packaging includes project directions for a GO! Polka Dot appliquéd pillowcase. Imported. GO! Fabric Cutting Dies by AccuQuilt: Heart 2-inch; 3-inch; 4-inch. Cuts one each 2-inch; 3-inch; and 4-inch. Hearts are difficult to cut accurately. 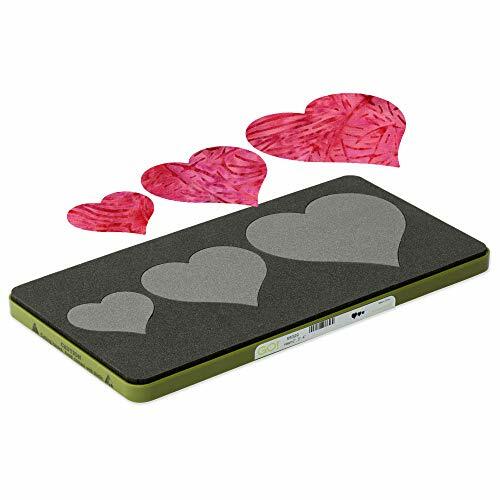 This die cuts three sizes of hearts fast and perfectly every time. Arrange hearts in colorful combinations for great quilt designs. 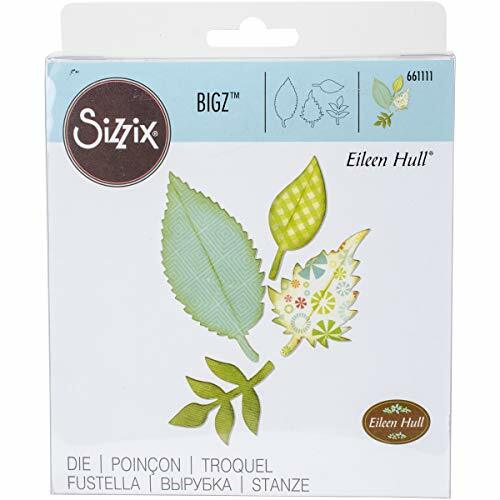 Use for applique quilts; holiday projects; ornaments; gift tags and more. Cut even more with up to six layers of 100% cotton fabric. For fast appliqué; apply fusible web to fabrics prior to cutting. Use with the GO! Fabric Cutter and GO! Baby Fabric Cutter (both sold separately). Requires 5x10 inch mat (not included). Warranty: AccuQuilt GO! Dies are manufacturer guaranteed for one year. Die packaging includes project directions for a Go! Trailing Hearts appliqued shirt. Imported. Color: Heart 2", 3" & 4"
They don't get much bigger than this. Big XL 25-Inch dies, our longest dies ever, cut hundreds of materials - including cardstock, chipboard, fabric, foam, magnet, leather, metallic foil, paper and sandpaper (in limited use) - and our biggest shapes. These dies are great for cutting fast quilting designs. GO! Fabric Cutting Dies by AccuQuilt: Strip Cutter-2 1/2" (3 strips). Cuts three 2-1/2 inch strips. Imagine cutting perfect 2 1/2" strips quickly and accurately. This die has cutting blades that are 23" long and are open at both ends to allow cutting of fabric that is still folded as it comes off the bolt. There is no chance that the ruler will slip causing the strips to be uneven. Use the cut strips for binding; sashing; borders and more. Use with the GO! Fabric Cutter (sold separately). It is easy and effortless to cut fabric-the number of layers of fabric that can be cut at one time is determined by the thickness of the material. Requires 10x24 inch mat (not included). Warranty: AccuQuilt GO! Dies are manufacturer guaranteed for one year. Die packaging includes project directions for a GO! Strips quilt. Imported. GO! Fabric Cutting Dies by AccuQuilt: Rectangle. Cuts two 3-1/2W x 3-1/2H inch squares. Squares are the easiest quilt shape to piece. Ideal for beginners and experienced quilters. 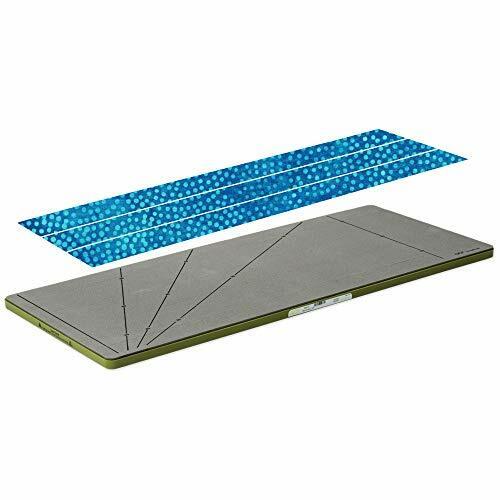 This 3-1/2 inch cut square finishes to a 3-inch square. Used in many traditional quilt blocks like Double X; Jewel Box and for corners of several star blocks. Includes seam allowance. It is easy and effortless to cut fabric-the number of layers of fabric that can be cut at one time is determined by the thickness of the material. Use with the GO! Fabric Cutter and GO! Baby Fabric Cutter (both sold separately). Requires 5x10 inch mat (not included). Warranty: AccuQuilt GO! Dies are manufacturer guaranteed for one year. Die packaging includes project directions for a Squares and Four Patches To GO! quilt. Imported. GO! 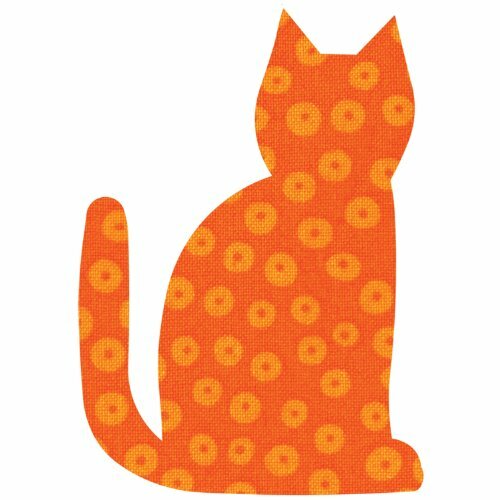 Fabric Cutting Dies by AccuQuilt: Sitting Cat Die. Cat size is 3-3/16Wx4-1/2H inch. Use with the GO! Fabric Cutter and GO! Baby Fabric Cutter (both sold separately). It is easy and effortless to cut fabric-the number of layers of fabric that can be cut at one time is determined by the thickness of the material. Note: Apply fusible web to the wrong side of fabric before cutting for appliqué shapes so they are ready to fuse. Warranty: AccuQuilt GO! Dies are manufacturer guaranteed for one year. Imported. GO! Fabric Cutting Dies by AccuQuilt: Square. 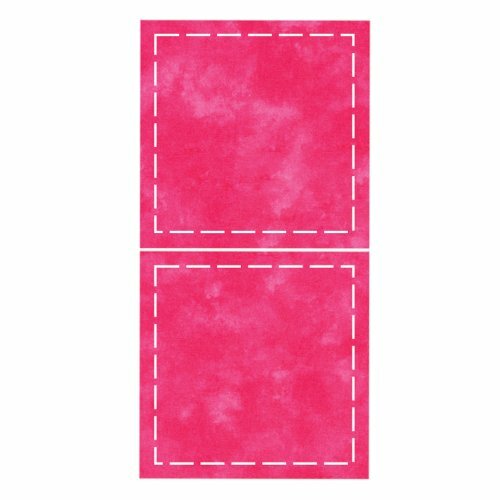 Cuts one 6-1/2W x 6-1/2H inch square. Squares are a basic building block of quilting. 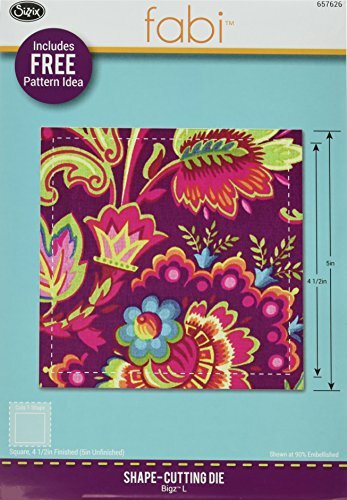 Great for both beginners and experienced quilters. This 6-1/2 inch cut square finishes to a 6-inch square. 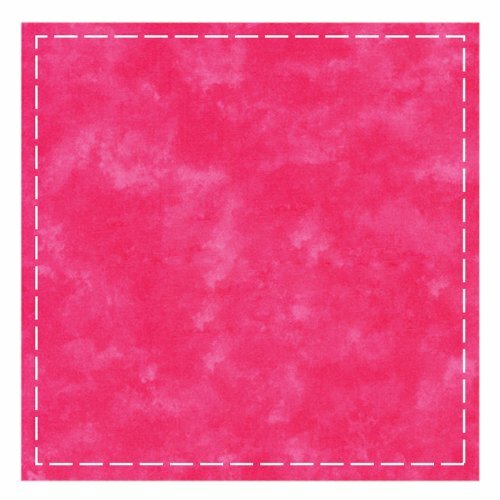 Ideal for background squares for small applique blocks and setting squares for checkerboard block layouts. This die is used in blocks such as Flashing Windmill; Sawtooth Star and Ohio Star. Includes seam allowance. Use with the GO! Fabric Cutter (sold separately). Requires 10x10 inch mat (not included). Warranty: AccuQuilt GO! Dies are manufacturer guaranteed for one year. Die packaging includes project directions for a Squares To GO! quilt. Imported. 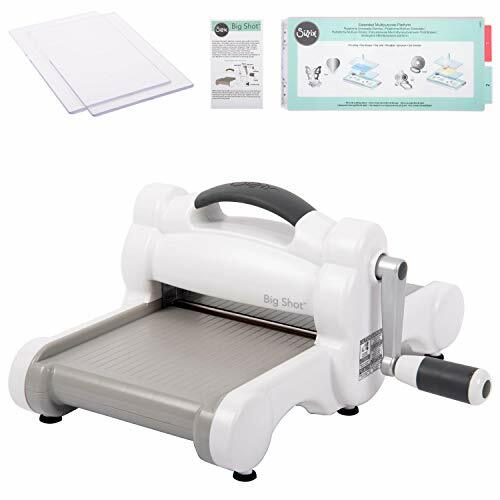 Just a bit bigger than standard dies, these big dies cut almost anything, including fabric, cardstock, felt, craft foam, flexible magnet, leather, vinyl and many other materials. 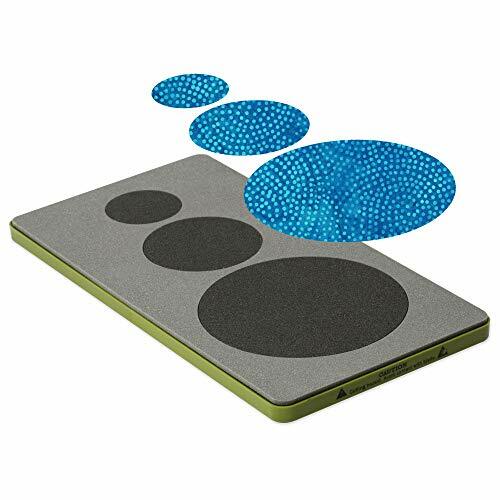 Imagine the giant-sized possibilities of our large and lovely decorative shapes! Measuring 4.5" x 4.5". 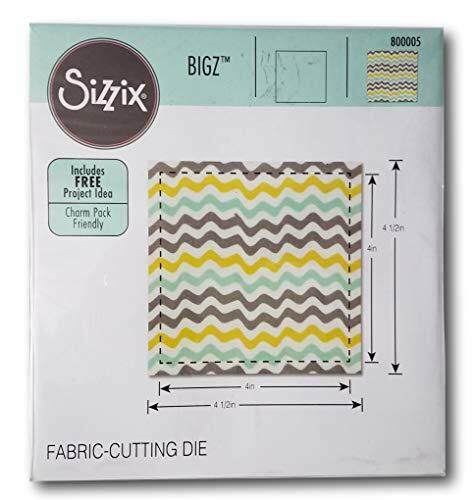 Sizzix 657626 Bigz Die, Square, 4-1/2" Finished (5"
A Bigz die cleanly cuts thick materials, including cardstock, chipboard, fabric, foam, magnet, leather, metallic foil, paper and sandpaper (in limited use). Its wider size offers you more design options. Measuring 5 1/2" x 6", each die in this 2-die Lollipop Shadow Number Set showcases the upbeat style of noted Ellison die artist E.L. Smith. Numbers in this set measure approximately 2" tall. This number set is designed for use only with the BIG kick, Big Shot and Vagabond machines and requires the use of a pair of Cutting Pads. 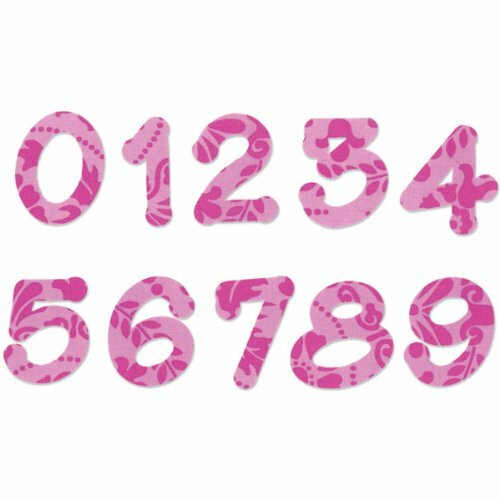 Proportionally sized Lollipop Shadow Capital Letters Set, #657892 and Lowercase Letters Set, #657893, are also available. 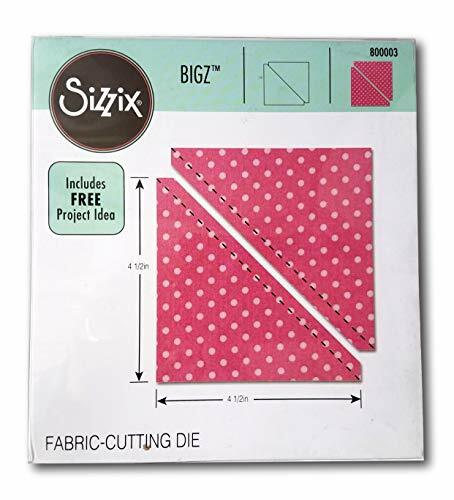 Sizzix Bigz Pro Die, Square, 9-1/2" Finished (10"
They don't get any bigger than this. Big Pro dies, our largest dies ever, cut hundreds of materials - including cardstock, chipboard, fabric, foam, magnet, leather, metallic foil, paper and sandpaper (in limited use) - and our biggest shapes, including full-size bags, boxes, cards, envelopes and album covers made exclusively for the Big Shot Pro Machine. 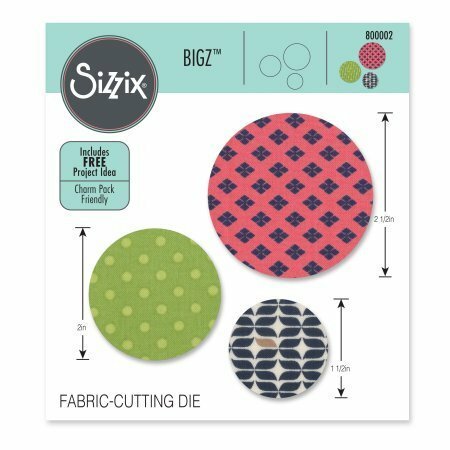 Every Sizzix quilting die effortlessly cuts a beautiful, versatile shape to complement your unique style. Imagine all the time you will save with perfectly cut squares and triangles to enhance your creativity with amazing designs. 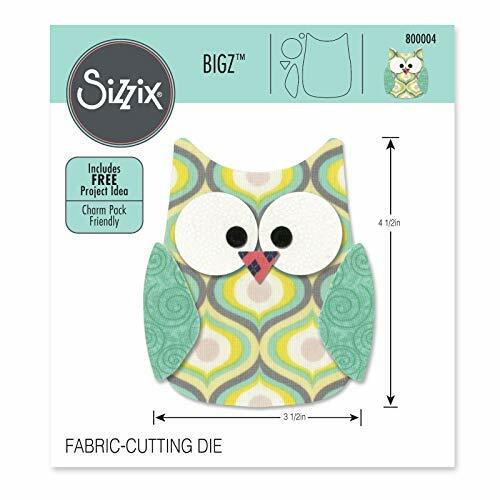 Sizz BigZ Die Owl #6#800004 Fabric Cutting Die 4 1/2" x 3 1/2"
Fabric Cutting Die - Owl - 3 1/2" x 4 1/2"
Reduce waste -- see exactly where you are Cutting and have full control over die placement on fabric. Safe to handle - no sharp edges or Cutting blades. Lightweight, easy to handle and store. Maximum value - create unlimited designs, configuration and applications with fab dies die set. Detailed cuts - enjoy easily Cutting shapes not possible or feasible to cut using other Cutting methods. Retail $449.99Compare to $672.89*$222.90 savings! *If all products were purchased separately. The new Ready. Set. GO! Ultimate Fabric Cutting System includes everything you need to get started...just add you! This system is designed to save you time and money by including all of the must-haves in one set. The new GO! 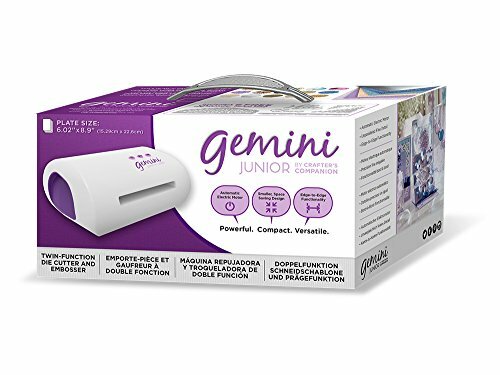 Fabric Cutter Starter Set saves you time cutting so you have more time to quilt! 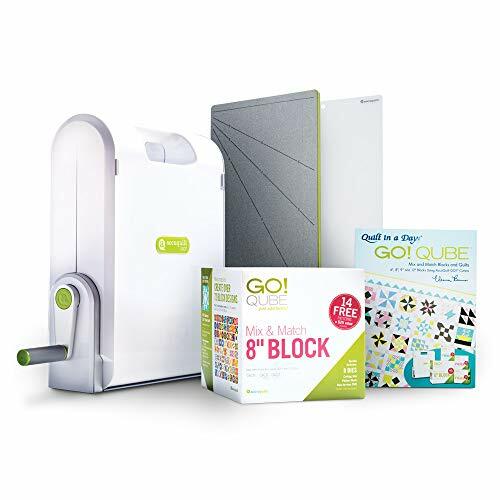 90% faster than rotary cutters or scissors Accurately cut up to 6 layers of fabric at a time Safe, easy-to-use design helps reduce hand and arm strain Unlimited design options with wide range of quilting shapes Starter Set Includes: GO! Fabric Cutter GO! 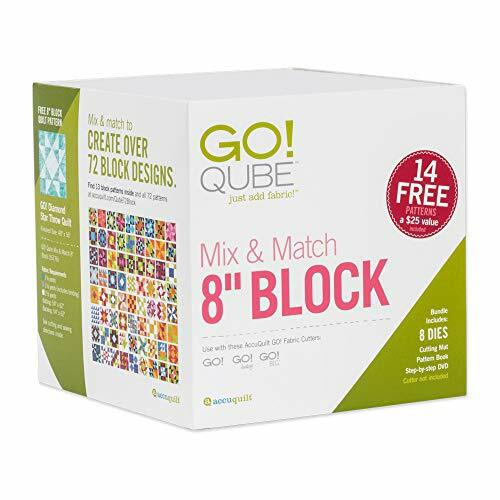 Qube 8" Mix & Match Block GO! Strip Cutter-2 1/2" (2" Finished) GO! Cutting Mats: 6" x 6" and 10" x 24" GO! Qube Book by Eleanor Burns Die Pick Over 70 free patterns included! 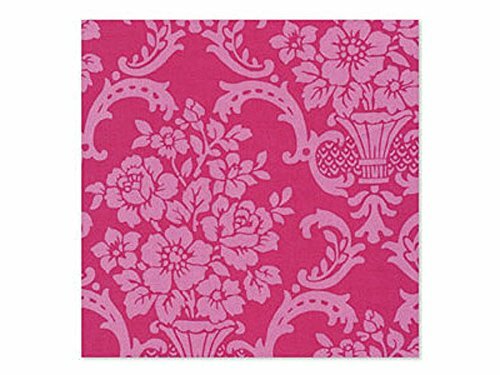 Compare prices on Fabric Cutting Dies at LiveSaler.com – use promo codes and coupons for best offers and deals. We work hard to get you amazing deals and collect all avail hot offers online and represent it in one place for the customers. Now our visitors can leverage benefits of big brands and heavy discounts available for that day and for famous brands. We try to makes comparison shopping easy with Product Reviews, Merchant Ratings, Deal Alerts & Coupons. Find Deals, Compare Prices, Read Reviews & Save Money.